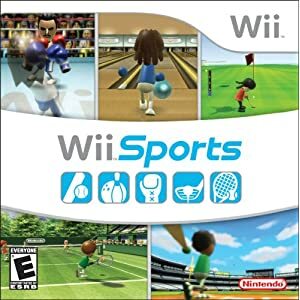 While Wii tennis may not give you as much of a workout as the real thing, it will still give you more of a workout than most other video games. While the Wii Sports disc itself contains the Wii version of tennis, which is pretty good in its own right, there are various tennis games that you can enjoy with your Wii. If you are a tennis enthusiast or have outgrown the tennis game in the Sports package, then you will surely want to check out some of these other tennis option for the Wii. Wii Grand Slam Tennis is a really cool offering from EA Sports which was released in the middle of 2009. One of the cool things about this Wii game is that if you don’t have a friend to play with and feel like playing against someone else you can go online and choose “Tennis Party” mode. This will allow you to play against online friends in your choice of twelve mini-games. When online you can play with any characters that you have created or one of the 23 that are included in the game. The Wii Motion Plus feature is one that really makes the game worthwhile, although the game might take a little bit of practice to be able to move up the skill chain and boost the skills of your character. In “Grand Slam Career” mode you get to create your own character and travel to the world’s most famous tennis locations in your quest for a Grand Slam title. You may be taking on Roger Federer in Australia, John McEnroe in New York, Serena Williams in France, or traveling to Wimbledon to take on any one of the 20 other world class tennis stars included in the game. This is a game that any competitive player that loves tennis will want to add to their Wii collection. This Wii tennis game is part of the New Play Control series of games from Nintendo that allows the user to enjoy classic GameCube titles on their Wii console. 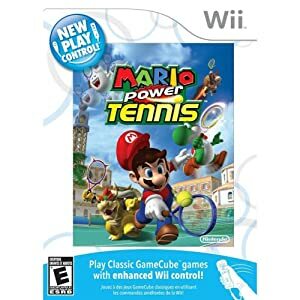 Mario Power Tennis was introduced in the beginning of 2009 and is similar to the one found in Wii Sports except the characters are all from the Mario universe. You can serve, spike, and volley similar to the Wii Sports game. 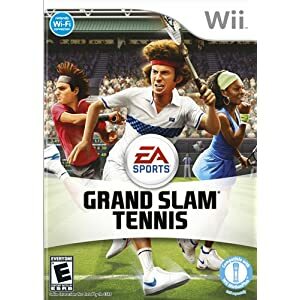 While this may be a great choice for people who can’t get enough of Mario, any serious tennis fan would likely prefer Wii’s Grand Slam offering. If you want to have fun playing tennis, Sega Superstars Tennis may be the choice for you. This Wii tennis game features sixteen of the most famous characters in the history of Sega along with multiple tracks of classic Sega tunes. You will find characters from games such as Sonic the Hedgehog, Space Channel 5, Super Monkey Ball and more. You can play in exhibition matches where you can choose characters to play with and also choose from ten different themed courts to play on. You can also choose to play doubles or singles, and can have four people on the court at the same time. The game also features a tournament mode where you can choose a character to compete in four tournaments. By winning matches you will be able to unlock mini-games of a tennis nature, such as hitting cans to spray paint graffiti on the court or batting down zombies from the House of the Dead as they try and take over the court. 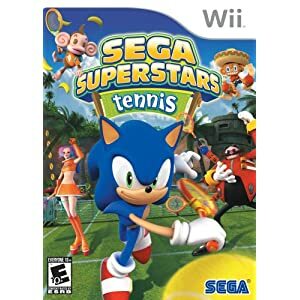 Sega Superstars Tennis for Wii offers excellent entertainment value, and is a great game for those who enjoy tennis but aren’t as serious about the game. 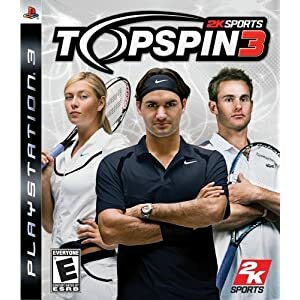 Top Spin 3 made its debut in the middle of 2008 and is similar to Grand Slam in that it also includes professional players. 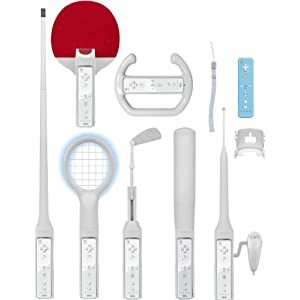 It also features motion-sensing controls, with the Wii nunchuk not only controlling the shot direction on the return but the movement on the court as well. It includes tennis stars like Maria Sharapova, Justine Henin, and Andy Roddick that you can compete against in singles or doubles matches or a tournament. There is also an option to earn points for attaining certain milestones. For those who enjoy the ability to compete against real stars in their own sport in a virtual environment, Top Spin 3 is a worthy choice. However, it seems to me that Grand Slam has a lot more to offer if this is the type of game you are looking for. 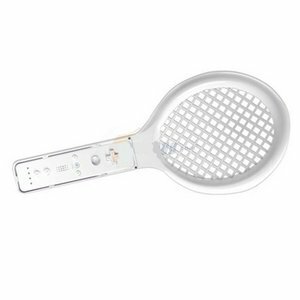 There is a Wii Tennis Racket available for serious tennis gamers. It weighs only 8 ounces and there are no additional cables needed. Secure the remote to the base, hook on the tennis racket and your ready to play. The racket can also be found bundled with the Sega Stars Tennis game or with the Wii Sports System Bundle. While any of these Wii tennis games can present hours of fun, I preferred the Grand Slam Tennis title due to it’s competitive nature and excellent graphics. While they all have positives and negatives depending on what you are looking for in a Wii tennis game, I found that the gameplay and other features of the Grand Slam title stood out from the rest.